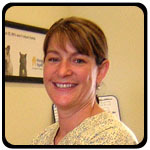 Dr. Linda Leuthold Donerkiel established The Pet Doctor in November of 2003. 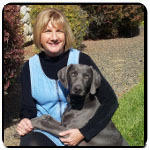 She moved to Idaho after graduating from the University of Minnesota College of Veterinary Medicine in 1995. She earned her undergraduate degree from the University of Pennsylvania. Currently she lives in Kuna with her husband Jim, two kids, and many, many pets. Dr. Will Dunaway attended the University of Florida for his undergraduate and veterinary degrees. He graduated from veterinary school in 2007 and also earned his certification in small animal acupuncture. 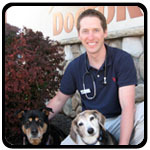 Moving from Florida to Idaho in 2008, he joined The Pet Doctor in 2011. He and his wife live in Boise with their three dogs and cat. Born and raised in Nebraska- “Go Huskers!” Lisa attended the University of Nebraska, school of Technical Agriculture. 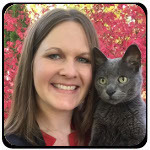 Lisa and her husband moved to Idaho in 2001, and she joined The Pet Doctor team in 2016. 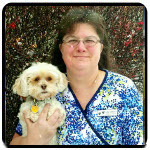 With her 38 years experience she continues to have a passion for pets, their people, and her job! She enjoys the outdoors, her flowers, reading, and “the find” when shopping or crafting. Lisa and her husband have 3 weimaraners and 3 cats. 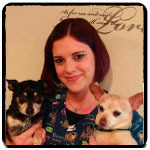 Candi joined The Pet Doctor in 2005 and has over 20 years experience working in the veterinary field. She is originally from Meridian, but has settled in Middleton with her husband, two dogs and cat. Candi enjoys camping in High Valley. 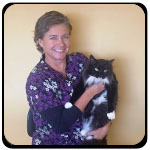 Robin joined The Pet Doctor in July 2011 after graduating from Brown Mackie College earning her veterinary technology degree. She enjoys reading, snowmobiling, spending time with her family. Robin lives in Meridian with her husband and 2 dogs. 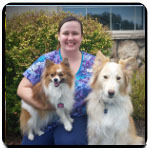 Nikki joined The Pet Doctor in 2015 and has over 10 years experience in the veterinary field. She enjoys everything outdoors! With a range from hiking to snowboarding; it only furthers the love and enjoyment she has for photography. 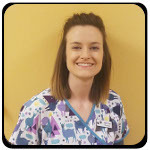 April joined The Pet Doctor in 2013 after earning her degree in veterinary technology at Brown Mackie. She lives in Boise with her husband, dog, cat, and bird. Her hobbies include crafting and hiking. She and her husband also enjoy balloon sculpting. 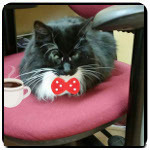 Hedy has been in the animal/human care field for many years. She earned her nursing degree from Chemeketa Community College in Salem. Originally from Southern Oregon, she now lives in Boise with her husband and many pets. She has been with The Pet Doctor since 2007. 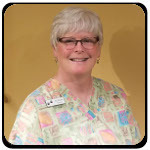 Sue started with The Pet Doctor in 2007. Growing up in the military, she lived many places but now calls Boise home. She lives with her husband, dog, and three cats. Clawed joined our Team in 2016. He is a great listener and we can always count on him for much needed snuggle time. We have found that he truly brings sophissssstication to our practice.